I am new to DE shaving and just received a gift from one of my family friends. I don't know much about this razor and the gentleman that gave it to me is in his 90's and doesn't remember much on it. 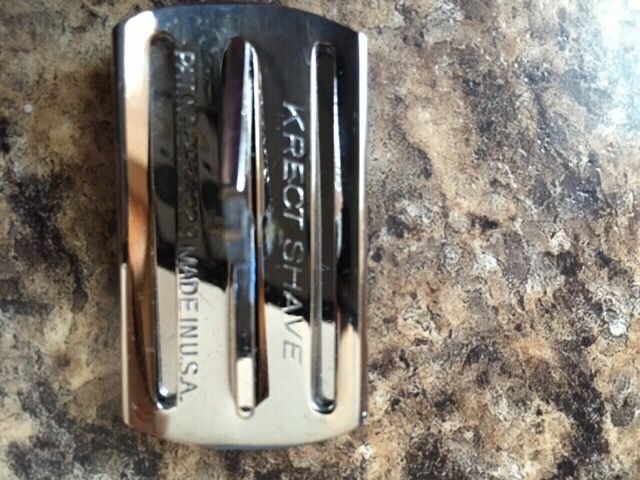 It is a slant head razor made by Krectshave made in the US. I would love to know when it was made and if anyone else has one, what they think about it. Wish I could tell you more but I am unfamiliar with the brand. Looks absolutely pristine though. Hope others may have some G2 as I would love to learn more- looks very cool! Cool razor! Unfortunately, I've never heard of the brand either. Hopefully someone will chime in with some info. It is a slant head razor. I've never heard of Krect Shave either. My razor is always something ordinary. But some of the other members may use a slant head razor. Just wait for some other members.